I am working on a baby girl quilt for a friend. She told me the colors and sent me some pictures of the bedding her mom made and I found some of those prints to incorporate into mine. I got the top done today and my goal is to finish it this week so I can post a tutorial for you all. 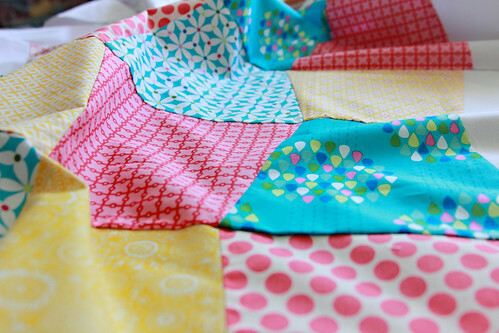 I am tempted to keep it for my girls since it is a quilt that colors & fabrics are totally me! Love these bright and colourful fabrics - they will look gorgeous together! I love those fabrics! That is going to be one adorable quilt! I love your fabric choices. If you can it would be great to know the names of the fabrics....I enjoy reading your blog. I would have a hard time giving it away too! What is that adorable pink dot at the bottom? Is that a Michael Miller ta-dot? I'd be tempted to keep it too! Wonderful fabrics!! I'm waiting for your tutorial because I need a baby BOY quilt!! I don't blame you, I'm loving those fabrics! what gr8 colors! 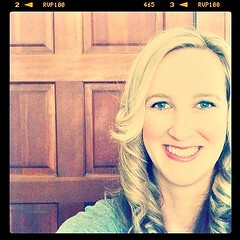 can't wait to see the finished product! Gah, really, really, really fabulous colors. You've got to give us the fabric list! I see some summersault! Very fun colors. She will love it. 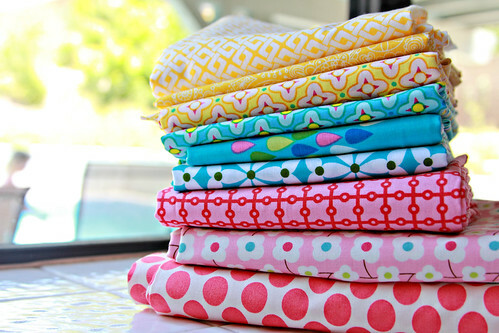 Such a gorgeous stack of fabrics! I can't wait to see your quilt (and tutorial). You are so kind to make so many gift quilts!